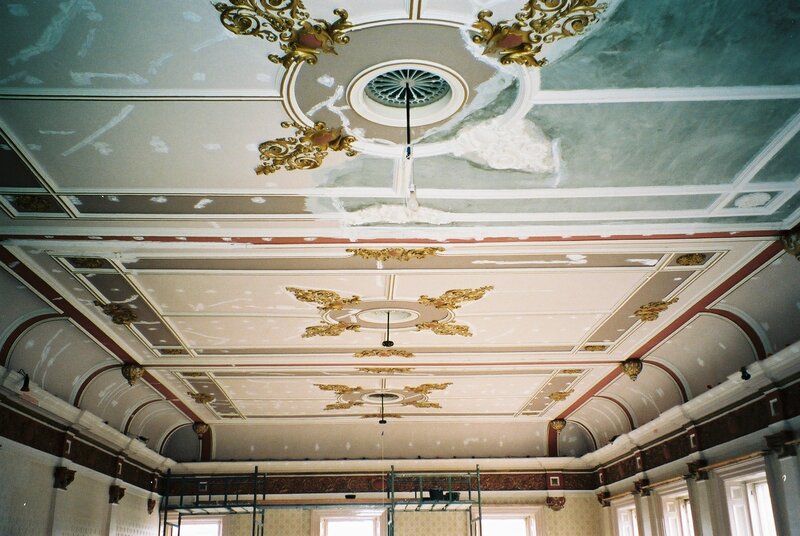 Plaster Restorations are specialists in the restoration of old historic plasterwork. We also manufacture and install high quality fibrous plaster. Our company uses only the finest of materials and provide highly trained craftsmen, in order to attain standards of quality in product and service that are second to none. We can sympathetically reproduce original plasterwork, either by hand crafted manufacture in fibrous plaster or working purely in-situ. 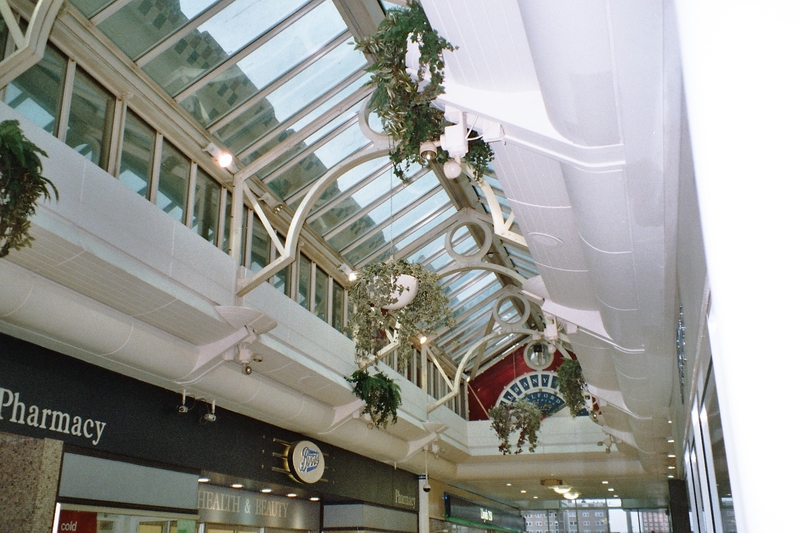 Plaster Restorations have developed a unique system of re-securing loose ornamental ceilings back to their original fixings, in a monolithic operation. Our system does not include using plaster backing-up, which only serves to add unnecessary weight and water to an already unstable ceiling. 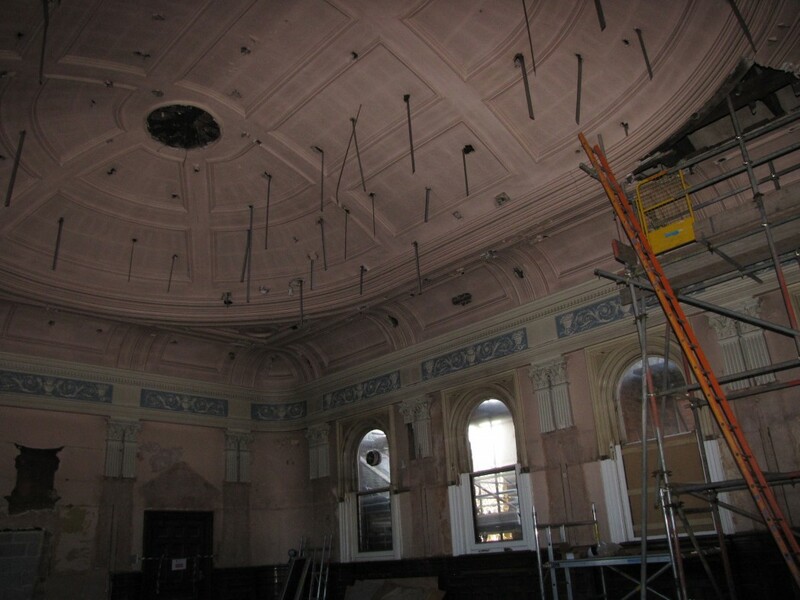 Our system retains the original plasterwork while keeping the existing integrity of the building intact, providing visibility & protection of original working methods, thus preserving rather than replacing historic workmanship. The system is also a much more cost effective solution compared to renewal. 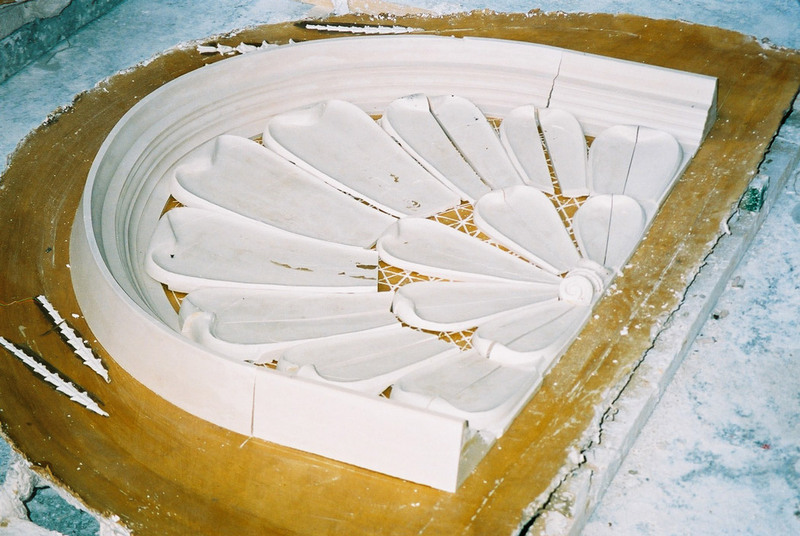 Plaster Restorations can use traditional materials and working methods to maintain the heritage of a building. Our work involves the use of sawn or riven wooden laths and sand / lime / horsehair or goatshair onto walls & ceilings. Mouldings can be run in-situ using the same materials. We also carry-out external rendering using natural sand / lime products. A fire, Storm or flood can be devastating, whether it happens to a major historic treasure or to ones own home. 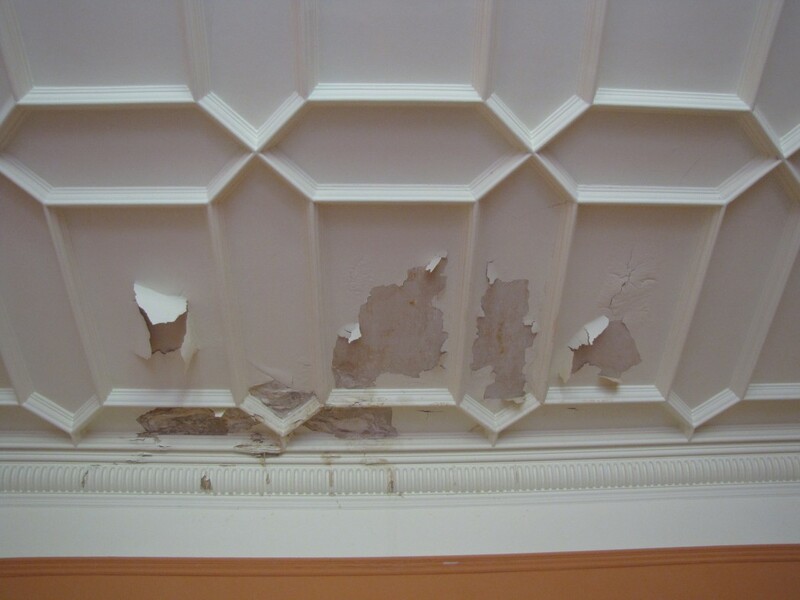 At Plaster Restorations we recognise the importance of putting the building back together sympathetically, to a state and condition the property was in prior to the damage occurring. Original materials and working methods can be utilised in order to achieve this result. We also understand the need to work efficiently and with the least fuss so that the building or domestic property can be re-commissioned as expediently as possible under the circumstances. At some point in the use of a building there may become a change of use. This may involve alteration of the lay-out, including the addition or removal of internal walls or the incorporation of new services. The building may also be extended to provide additional space. In each of these scenarios the original plasterwork may need replicating within the new areas to carry the theme of the existing into the new. Properties can often need some updating or general repair to bring-up to a required standard of finish. Virtually any shape that can be drawn, no matter how complicated, can be reproduced in high quality GRG. Being class O-Rated for spread of flame, it provides scope for incorporation into suspended ceilings, bulkheads, linings, lighting troughs, column casings and other feature components. 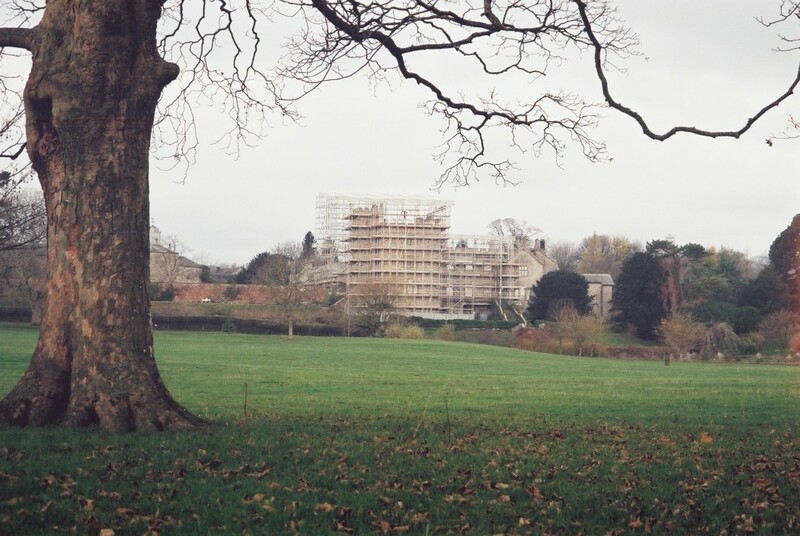 We can provide surveys and budgets upon forthcoming or existing projects to your properties. Plaster Restorations believe that through our skill and expertise, we can offer a great many benefits to our clients to enhance a future working relationship. We would welcome the opportunity of visiting your offices, projects or homes with a view of discussing our systems in more detail.